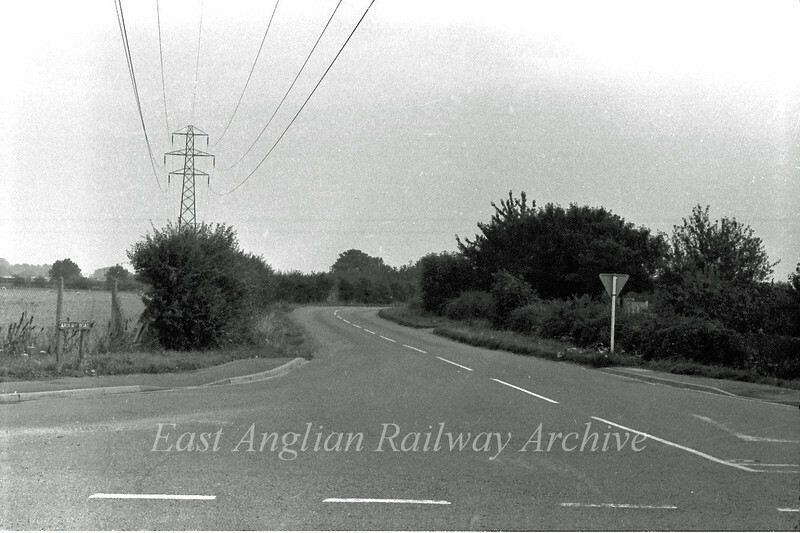 The old Arbury Road junction with the old B1049 facing Arbury. Looking towards the right from the next photo. The new road now crosses the picture about where the bend is. The scene is totally unrecogniseable today. August 1975.